Amazing Opportunity To Renovate Or Build Your Dream Home On One Of Burlington's Most Prestigious Streets. This Home, Situated On A Idyllic Tree Lined Boulevard Only Steps To The Lake In A Sought After Neighbourhood Has 4 Bedrooms, 2 With En-Suites, Hardwood Floors Throughout And A Large Living Room With Wood Burning Fireplace. 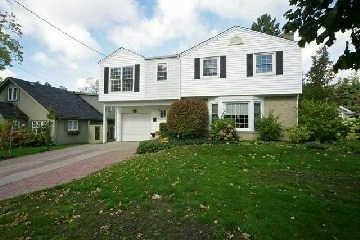 This Home Offers Lake Views, A Beautiful Private Landscaped Garden With Heated Sunroom And Is In Close Proximity To Great Schools.